Household dust does more than collect in corners and on bookshelves full of novels you haven’t gotten around to reading. A new study shows it can expose people to a wide range of potentially toxic chemicals. In what the authors are calling the first study of its kind – a meta-analysis of more than two dozen previous studies on chemicals in dust – they report that 90 percent of dust samples taken from houses in 14 states contain harmful chemicals, including one that’s known to cause cancer. “Most studies only measure a few chemicals so it makes it hard to understand typical exposures in homes and work places,” said the study’s lead author Ami Zota, an assistant professor of environment and occupational health at Milken Institute School of Public Health at the George Washington University, in Washington, D.C. The researchers – who also came from Harvard University, the University of California-San Francisco, Silent Spring Institute and the Natural Resources Defense Council – analyzed data from 26 peer-reviewed papers and one unpublished set of data. The collected data included 45 chemicals from five chemical classes. “We wanted to be able to draw more solid conclusions about concentrations of indoor chemicals in the U.S. by pooling data across all of these studies,” Zota explained. The chemicals studied come from all sorts of common consumer goods, including furniture, personal hygiene products, flooring, baby products, cleaning supplies, fast food and food packaging. Zota said the chemicals are released into the air and then seep into dust that settles on furniture and floors. People can inhale or ingest small particles of dust or even absorb them through the skin. To analyze the previous studies, the scientists parsed the information from three different angles: the level of chemical concentration in dust, how much might be getting into our bodies, and how hazardous the chemicals are. “No matter which way we looked at it, there were some chemicals that stood out,” co-author Veena Singla, a staff scientist with the Natural Resources Defense Council, told CBS News. The non-profit group helped to fund the study. Ten harmful chemicals were found in 90 percent of the dust samples tested. Phthalates, used in toys and vinyl flooring, among other products, occurred in the highest concentrations. They were followed by phenols, often used in cleaning products. Then came flame retardants, fragrances and perflouroalkyl substances, which are used in carpets, textiles, and leather to make them water-, oil- and stain-repellent and to create grease-proof and waterproof coatings for products such as paper plates and food packaging. The authors of the study, published in the journal Environmental Science & Technology, were especially concerned about exposure to children, especially very young children who crawl around on the floor and put their hands in their mouths. DEP, DEHP, BBzP and DnBP – These chemicals, different varieties of phthalates, are found in an array of drugstore items like those listed above, as well as some highly processed foods and fast food. Phthalates are also linked to IQ and respiratory problems in children. PFOA and PFOS - These chemicals​ are found in cellphones, pizza boxes and many non-stick, waterproof and stain-resistant products. They’ve been linked to developmental problems​ and issues with the immune, digestive, and endocrine systems. These may be worrisome when they accumulate in household dust, the researchers say. 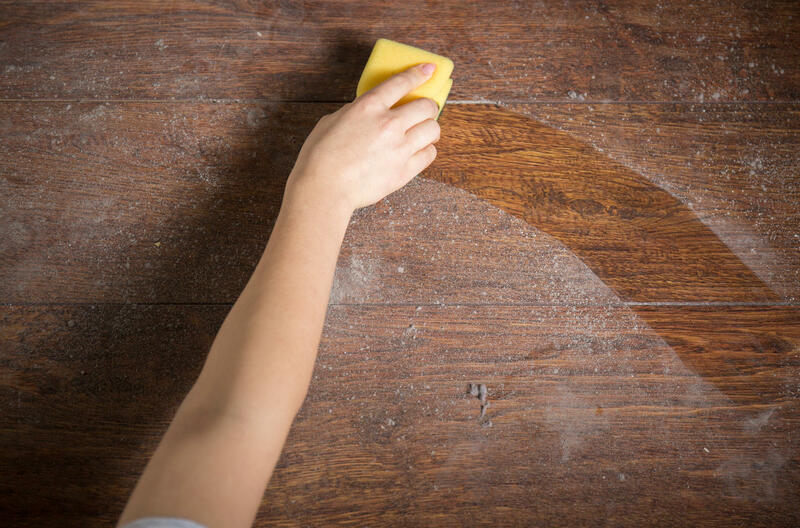 “Indoor dust is a reservoir for commercial consumer product chemicals and many of these chemicals have known and suspected health effects,” Zota said. The authors said small amounts can add up over time and potentially impact health. “On the one hand, I wasn’t that surprised, and on the other hand I was surprised to see just how bad it was. I definitely expected to see a number of toxic chemicals when we put the data together, but just the extent of it did surprise me,” Singla said. The study doesn’t answer all of the researchers’ questions, however. There are still big gaps in knowledge about many chemicals. “We know so little about fragrance chemicals. They’re a prime example of the problem of not having information on what’s in our products because companies claim trade secrets,” Singla said. Safer alternatives need to be developed, said Zota. “One of our objectives with this – because there are so many consumer product chemicals being used currently in commerce with incomplete health and safety information – was to conduct this analysis with the objective of helping researchers as well as decision-makers to set priorities. Which chemicals to prioritize, in terms of conducting future health assessments. As well as which chemicals to actively develop safer alternatives for,” Zota said. Individuals can take a number of steps to improve safety, Singla said. In your own home, day-to-day, washing your hands​​ with plain soap and water can cut down on the amount of dust you come into contact with. Vacuuming with a HEPA-filter, wet mopping and dusting with a damp cloth can reduce exposure to dust, as well. In the longer term, she said, “There are regulatory and legislative solutions. It does make a difference when people tell their government agencies that this matters to them and they’re concerned.” Singla also noted that the Natural Resources Defense Council has a petition for the FDA to ban phthalates from food, which supporters can sign online. “We think our homes are safe havens, but what we found is the surprising reality that our homes are being polluted by the products we have every day. Our choices about what we buy and the policies we support can make a real difference,” Singla said.